Haverhill Arts Centre, and the Town Hall has been central to Haverhill life since it was built in 1883. 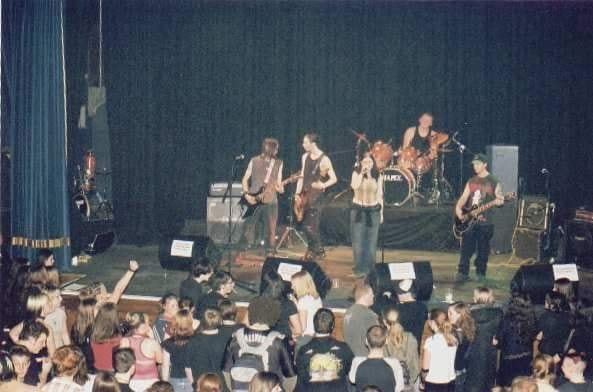 Do you have any old photos of parties and events here, you can share with us? We’d love to see them! 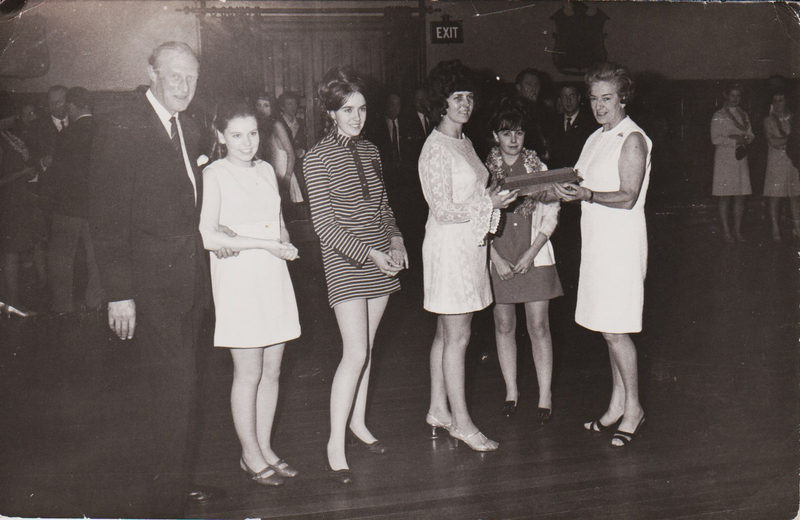 The picture above was shared by Patricia Austin and shows left to right, William Gurteen, Patricia Austin (nee Mallows), Margaret Barker, Janet Moor, Wendy Baker (nee Mayes) and Mrs Gurteen at a Gurteen’s Christmas party in the late 1960s. Mr Gurteen is a dead ringer for Prince Philip! Patricia also shared this image of the same Christmas party. Any suggestions as to what the participants are actually doing? Left to right they are Malcolm Pipe, Michael Austin, Malcolm Hardy with Joan Thake & her sister Molly Baker. Thanks to Julie Martin for keeping this Double Disco Spectacular ticket in her drawer for 40 years, she knew it come in handy one day! 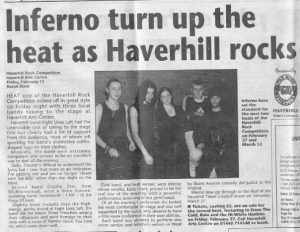 Band competitions were the thing in the 90s, Darrell Rawlings has shared this image and newspaper clipping of Inferno, rocking the joint. 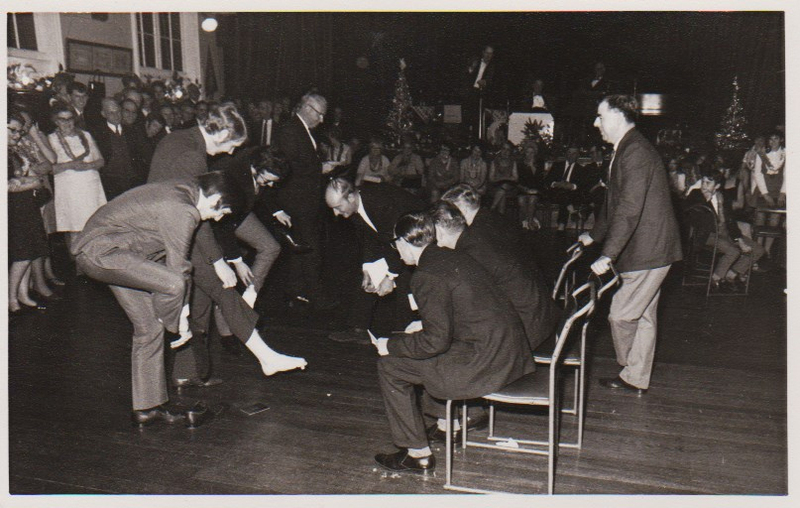 Steve Foard had this photo in his family album, he think the function was a pantomime for an HMP Christmas panto’ in the 1960s. 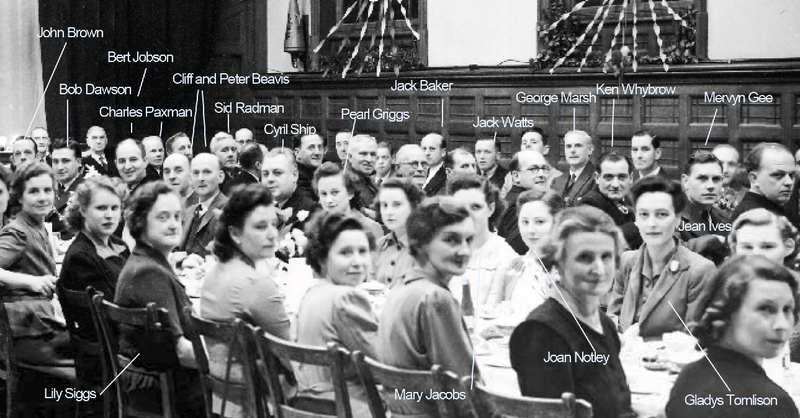 Steve and Mary Paxman recognised Steve’s dad in this photo of a Co-op party that we are using to promote our cafe. They think it was probably taken in the 1950s. They took the photo away and this helped them remember the names of lots of the other participants too. An arts centre customer (who doesn’t want her name used) filled in some more gaps. 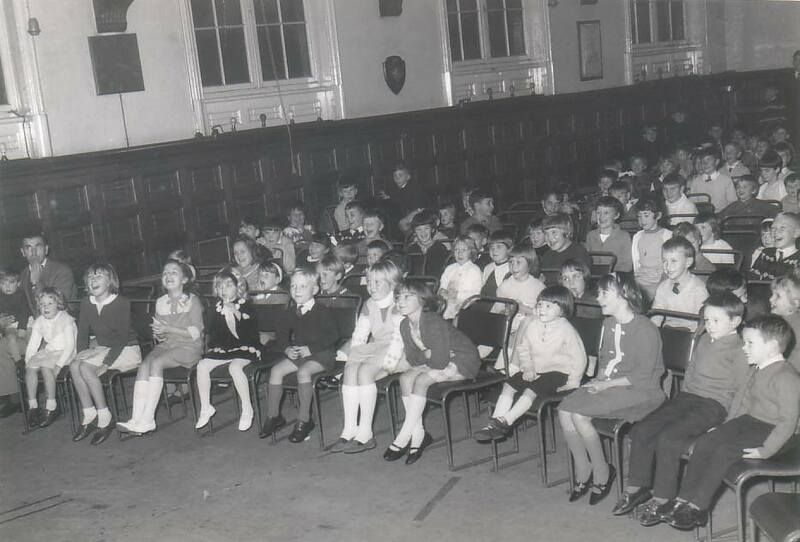 If you recognise anyone else, please get in touch! 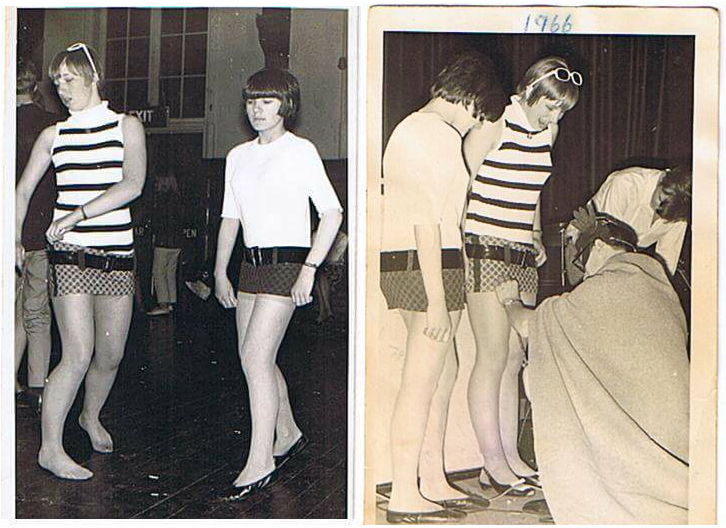 Tess Taylor-O’Grady let us use this picture of her taking part in a miniskirt competition in 1966 to use on the cafe menu. The second picture shows the judge, dressed as Batman, taking the vital measurements. Wouldn’t happen today!